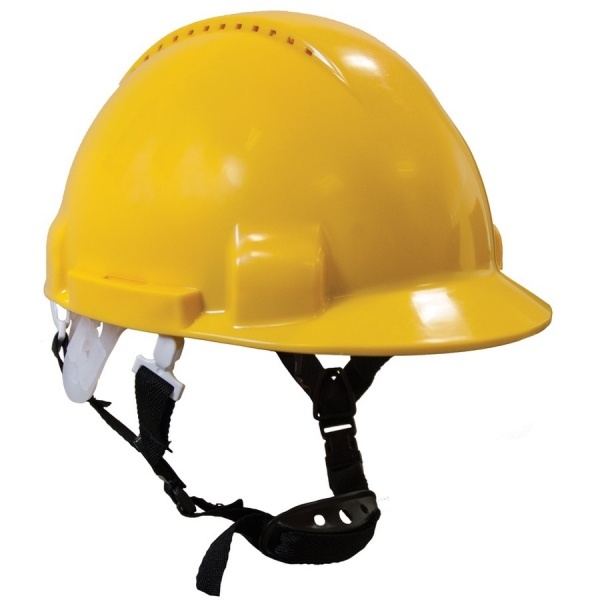 Lightweight and ventilated helmet for workers at height. 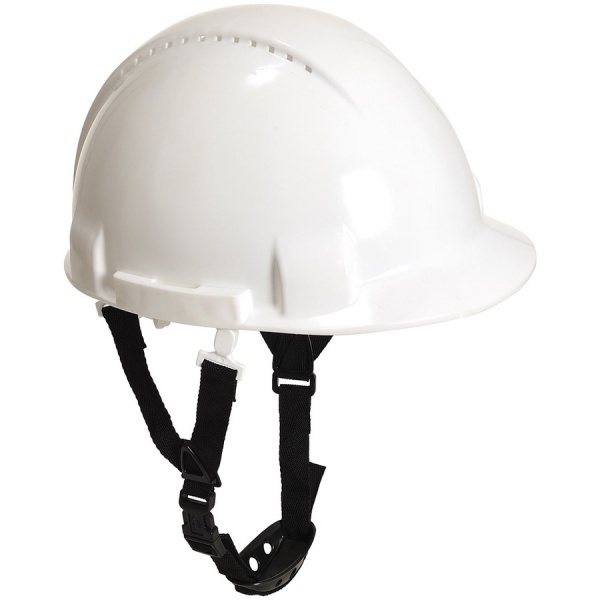 High wear comfort and secure ﬁt through ergonomically formed shell. 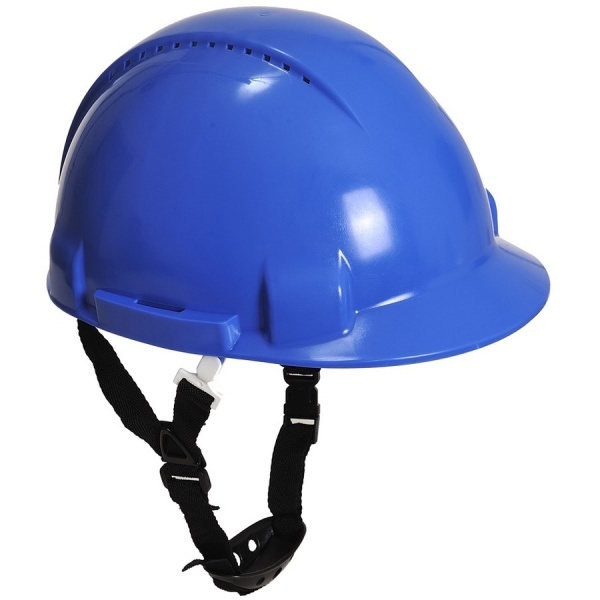 The six point ratchet adjustable harness uses Nylon suspension for wearer comfort. Supplied with Y chin strap.